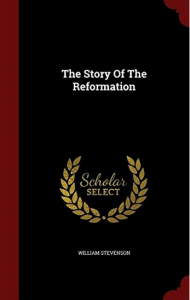 This book on the Reformation, including Scotland, is much more satisfying because Stevenson is a Presbyterian, the national religion of Scotland. Stevenson’s chapter on Anabaptists is one of the most complimentary that I have read from a non-Baptist. The accounts of their sufferings at the hands of Catholics, Protestants, and the secular authorities is specific and heart-wrenching. Much space is given to the Reformation in Scotland and the history of Knox and the Covenanters. I enjoyed this book much more.